When a young boy finds a body in a neighbouring village, once again Alex Duggins is drawn into a case of cold-blooded murder. When a body is discovered in the neighbouring village of Underhill, Alex Duggins, owner of Folly-on-Weir’s premier pub, The Black Dog, is determined not to get involved — for once. 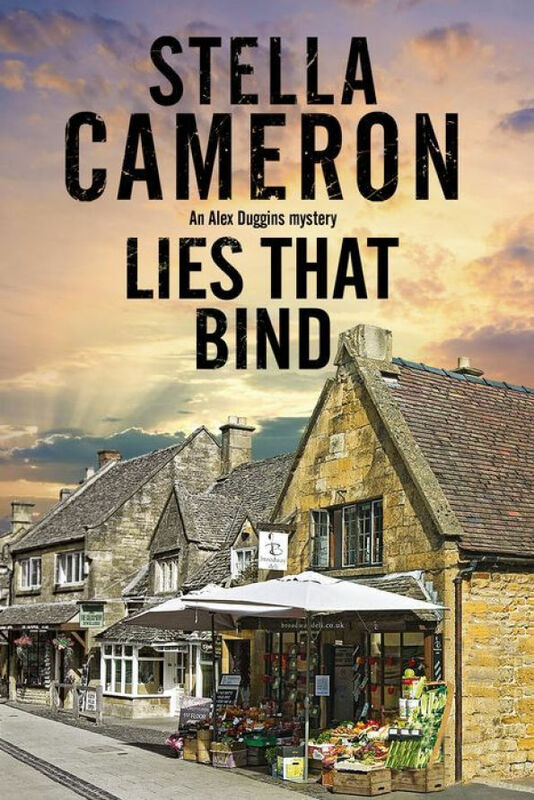 But when she learns that the person who found the body was young Kyle Gammage, who helps out at her friend Tony’s veterinary clinic, she and Tony are reluctantly drawn into the murder investigation. In her desire to protect Kyle and his elder brother Scoot, Alex finds herself withholding vital information from the police. It’s a misjudgement that will have far-reaching — and possibly fatal — consequences. Her relationship with Tony under strain, has Alex’s silence put her and those she loves in danger? “The discovery of a murder victim in a Cotswolds village puts a family at risk of being torn apart. Sid Gammage is willing to do what it takes to support his kids—teenagers, really—but the extra hours at work mean that he can’t always be physically present for them. That’s OK, because the town of Folly-on-Weir is invested in making sure Kyle and Scoot are looked after one way or another. Local veterinarian Tony Harrison, who’s in the process of vetting Kyle for some work at his practice, asks Alex Duggins to fill him in on Kyle’s home life. Not only is Alex Scoot’s sometime employer at the town’s only pub, The Black Dog, but she’s also Tony’s sometime girlfriend, and that means her word goes far with Tony. Tony’s all set to take on Kyle at the practice when both of the Gammage boys suddenly need a lot more support than part-time jobs will offer: Kyle finds a body in the woods and Sid goes missing. Kyle is certain that if he tells police his father isn’t home, both he and Scoot will be carted off to children’s services. Alex tries to run interference, but it’s not her first time dabbling in investigating (Melody of Murder, 2016, etc. ), and the local police are wary about what her involvement might mean. If she can suss out the killer, the victim, or the motive, maybe she can help solve the crime and keep the boys’ living arrangements under wraps until Sid returns to his responsibilities.